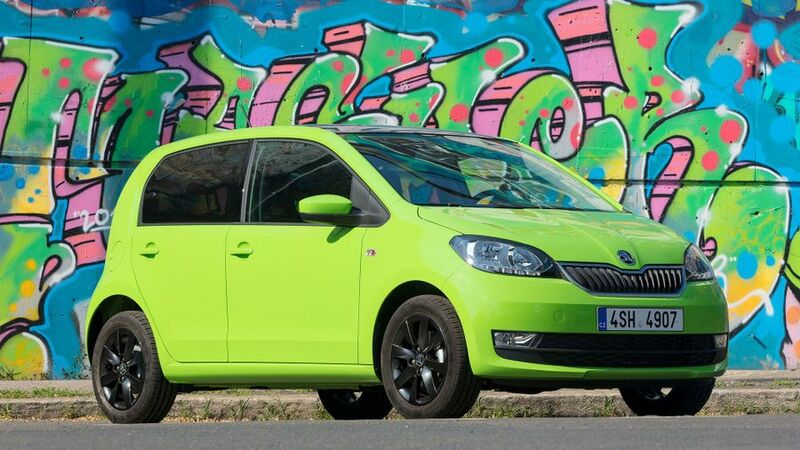 There are lots of excellent city cars on offer these days, but for our money, the Skoda Citigo is one of the best. Like the VW Up and Seat Mii, with which it shares its mechanicals, it provides style, quality, sophistication and comfort by the bucketload, but for an even-more-affordable price than its siblings. Thoroughly recommended. 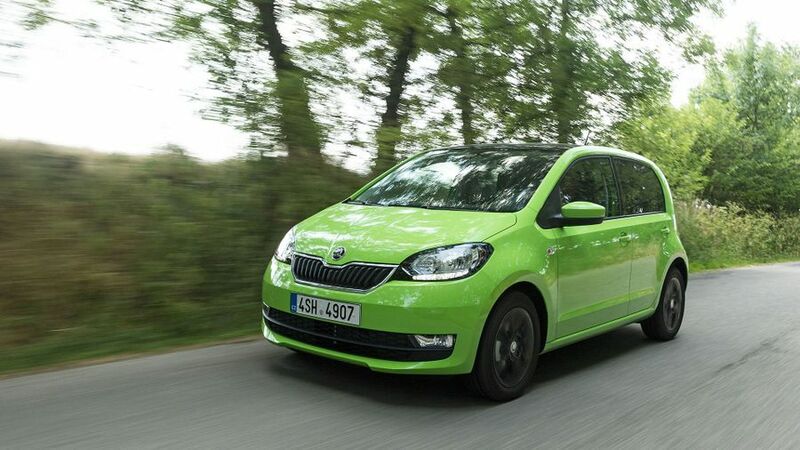 Interested in buying a Skoda Citigo? Like the Volkswagen Up and Seat Mii (with which the Citigo shares pretty much everything), it manages to pull off that rare trick of looking quite conservative, but still conveying a certain funky, cheeky charm. The 2017 facelift gave the Citigo a redesigned bonnet, grille bumper and headlamps, but despite all the changes, you’d really struggle to tell it apart from the pre-facelift car. The entry-level S car has steel wheels, and the door handles and mirrors are made from black plastic, while SE and SE L trims swap these items for body-coloured ones, and add alloy wheels, LED daytime running lights, a chrome grille surround and darkened rear lights.The Monte Carlo model features black alloy wheels, front fog lights and some extra black styling bits including a spoiler and grille surround, for a sportier look. The Citigo’s real charm lies in its simplicity, and nowhere is this more evident than in the cabin. The dashboard layout is fuss-free and uncluttered, and what few buttons and dials there are are clearly marked and easy to use. 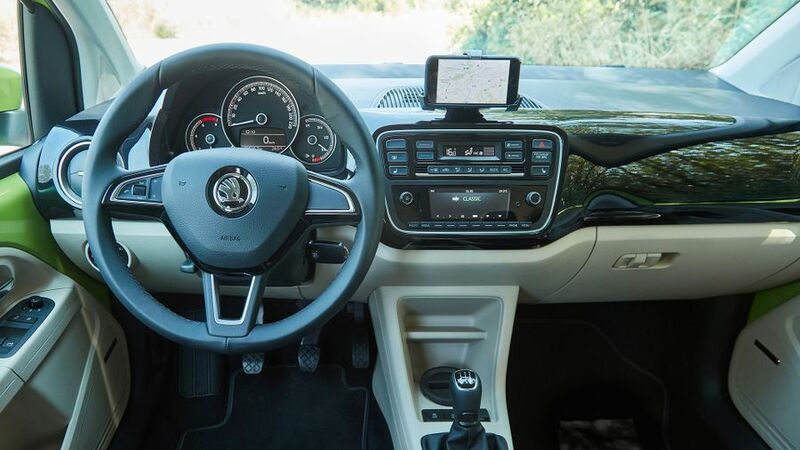 On most models, the infotainment system works through an app that you download onto your smartphone, and once you’ve installed your device into the cradle provided, you access functions through a separate interface in the dashboard. It works reasonably well, but it doesn’t feel like a particularly high-tech solution. You might not like the fact that the steering wheel only adjusts for height – and not reach – on all models, either, and the entry-level model also misses out on a height-adjustable driver’s seat. That said, it’s pretty easy to get comfy in most versions, and your visibility is clear in every direction thanks to the car’s large windows. Perhaps the best thing about the cabin, though, is its quality. The materials, designs and textures on display give the car a really sophisticated, grown-up feel, and that’s with the car in its most basic form. Head to the options list, and you can specify glossy panels and inserts that inject plenty of character on top. City cars don’t immediately spring to mind as the most practical choices, but these days, the best examples are doing a really impressive job in this area. Happily, the Citigo is one of them. There’s a genuinely surprising amount of space in the back, enough for a brace of tall, burly adults to get themselves very comfortable indeed; and, at 251 litres, the boot is a very reasonable size and one of the roomiest in the class. 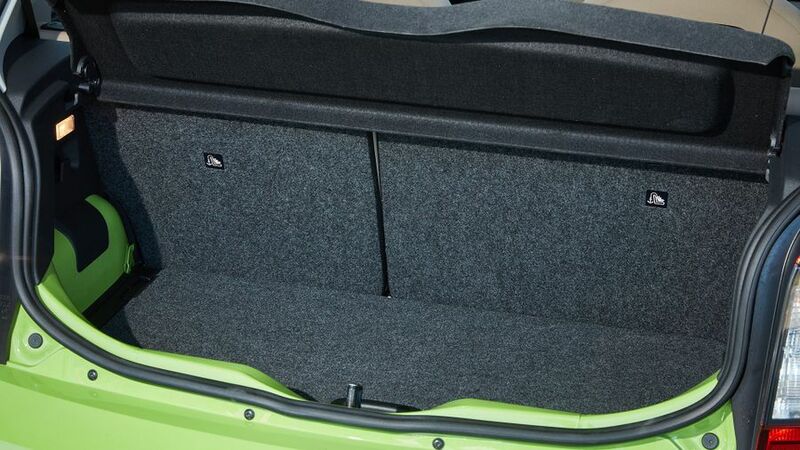 All but the entry-level car also get split-folding rear seats, and when you fold those down, the area you get for luggage extends to 951 litres. Take to the road, and the Citigo behaves exactly like you want a city car to behave. The suspension is great at absorbing the many lumps and bumps you find in battered urban streets, so it keeps things smooth and relaxed at all times, leaving you with little to think about other than plotting a steady course through the city. The car’s modest dimensions and light, slickly operating controls also make it extremely manoeuvrable, which helps your progress no end. Things remain just as rosy when you break out of the city limits, because on any kind of road and at any kind of speed, the Citigo feels settled, controlled and pleasantly alert and nimble. Monte Carlo and GreenTech versions come with a lowered suspension, which adds firmness to the ride but stops short of being annoyingly crashy. But the payoff is even nippier handling, giving Citigo drivers genuine enjoyment behind the wheel. You choose between a pair of 1.0-litre, three-cylinder petrol engines, one with 59bhp and the other with 74bhp, but for us, the entry-level engine is all you need. It’s peppy, responsive and plenty quick enough for the city, but it also manages to stay smooth and quiet at all times. Opt for the more powerful version, and you will feel the benefit of its extra grunt on motorways and other fast roads when you have to build speed in a hurry. Until that point, though, you’ll barely tell the difference between the two, and only when you’re revving it mercilessly. The car is available with a five-speed automatic gearbox as an option, which we haven’t yet had the opportunity to try, but we can’t see much wrong with the slick-shift five speed manual. The Citigo is one of the more affordable city cars, undercutting both its VW Group siblings and the Hyundai i10 version-for-version. Its resale values will be every bit as strong as those of the cars it competes with, too, while there’s barely anything to separate the pack on fuel economy and CO2 emissions, so it should prove to be slightly cheaper to own long-term. As an individual model, the Citigo doesn’t feature in Warranty Direct’s Reliability Index, but as a manufacturer, Skoda sits comfortably in the top half of the brand rankings, which should give you some peace-of-mind. The owner reviews on our own site paint a pretty positive picture of the car’s reliability, too, with the vast majority of owners appearing to be very satisfied with the dependability of their car. Don’t worry about the fact that the Citigo only comes with four airbags. The two side airbags also extend upward to cover the same area as an additional curtain airbags, so you’re getting more or less the same level of protection. Mandatory features like electronic stability control, tyre pressure monitoring and anti-lock brakes are all present and correct, as are Isofix child seat mounting points on both the rear seats. You have to head to the options list if you want autonomous emergency braking on any version, but on the plus side, it is a very affordable addition. The car has achieved the maximum five-star rating in Euro NCAP crash tests, but that was back in 2011, and the tests have become a lot more difficult to ace since then. S trim forms the entry point into Citigo ownership, but although the car is at its best when kept cheap, you might want to give this version a wide berth. Yes, you get remote locking, electric front windows and a USB port for your stereo, but you miss out on essentials like Bluetooth, air-conditioning and alloy wheels. Second-rung SE trim brings all those and, with prices that are still very affordable, that makes this our favourite trim. That said, we wouldn’t blame anyone who upgraded to SE L trim for its rear parking sensors, heated front seats, leather steering wheel and electrically adjusting door mirrors. The Monte Carlo adds to the SE trim, bringing in a leather steering wheel, black and red upholstery and privacy glass. It’s perhaps a little disappointing that features such as cruise control and DAB radio are optional extras across the range. Because you want one of the best city cars that money can buy, and you’re not really fussed about having a Volkswagen badge. The Citigo delivers all the comfort, sophistication, quality and style that its VW Up stablemate does, but for a good few hundred quid less. In our book, that makes it a very, very tempting proposition.